These necklaces are highly detailed and eye-catching! They are durable enough for kids, yet attractively detailed for adults. 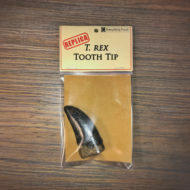 The replica Spinosaurus tooth pendant is made of durable, high-quality plastic and hand painted to look realistic. Our packaging briefly shares the truth about Spinosaurus. 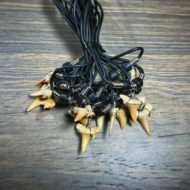 These Spinosaurus tooth necklaces are highly detailed and eye-catching! 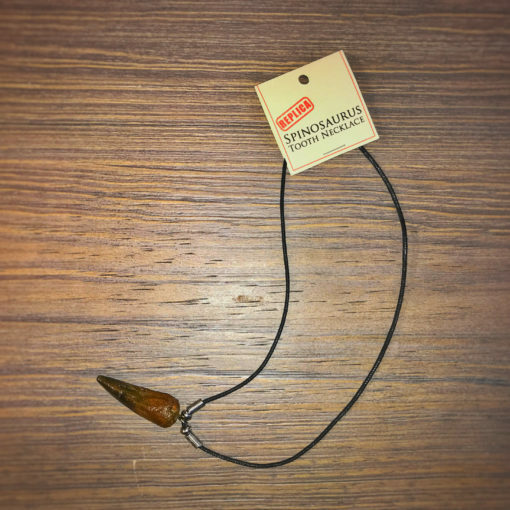 People of all ages will enjoy wearing this impressive-looking necklace. 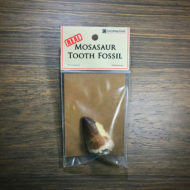 The dinosaur tooth pendant is made of durable, high-quality plastic and hand-painted to look realistic. Each necklace features an 18″ braided cord fastened with a lobster clasp. 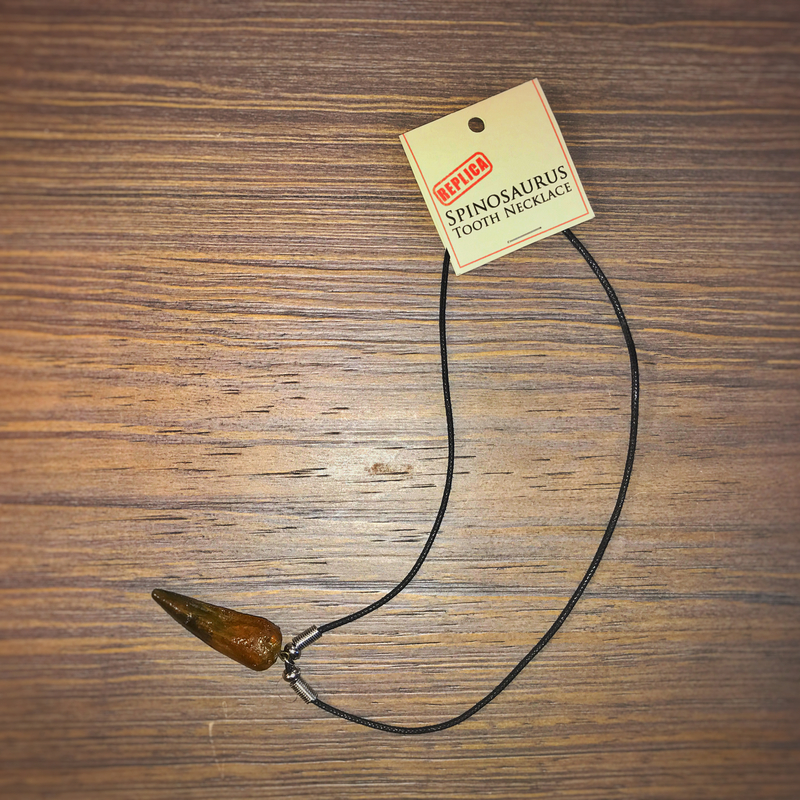 This necklace is durable, yet beautiful. 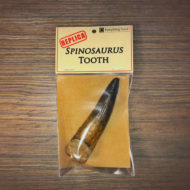 Our packaging briefly shares information about Spinosaurus without evolution or millions-of-years. 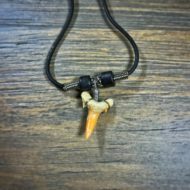 This Spinosaurus tooth necklace is a great conversation starter about dinosaurs. 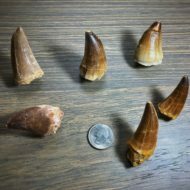 You can share about when dinosaurs were created, where meat-eating came from, and how dinosaurs died. Spinosaurus is a good dinosaur to talk about because the changing portrayals of Spinosaurus are a good reminder that dinosaur depictions are artistic guesses that may later be proved wrong by the evidence.